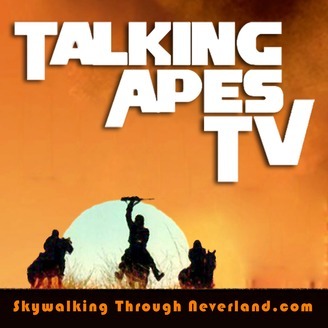 Welcome to TALKING APES TV – where we take a look at the unsung PLANET OF THE APES TV series from 1974. 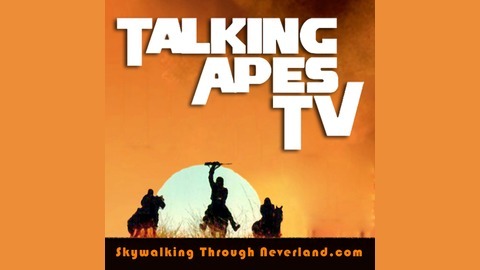 Every episode of TALKING APES TV delves into an episode of the PLANET OF THE APES TV Series, with plenty of quotes, audio and social commentary pulled from each show. Another proud podcast on the RetroZap! Network. On this episode we’re going to acknowledge and review the Tim Burton’s 2001, Planet of the Apes reboot/reimagining/remake (you decide)! So welcome back to all you Chimps, gorillas, orangutans and even you damn dirty Humanoids! For this Urko-sized task of tackling this film, we brought in reinforcements: Max Cervantes (Ape cosplayer) and Dean Preston (Simian Scrolls fanzine). We also read many of your comments from our Facebook post threatening we were going to do this. I know what you’re thinking, however, the results may surprise you. As Zaius once said, don’t look for it, you may not like what you find. To balance out Burton’s Apes film with the classic Apes, we recorded this episode from the actual Planet of the Apes film and TV shooting locations at Malibu Creek State Park. After our recording, we ventured out and visited the spots where many iconic scenes took place. Fortunately the fires that took place just weeks before didn’t destroy these landmarks. Look for the location hunt video on the Skywalking Through Neverland Youtube channel.